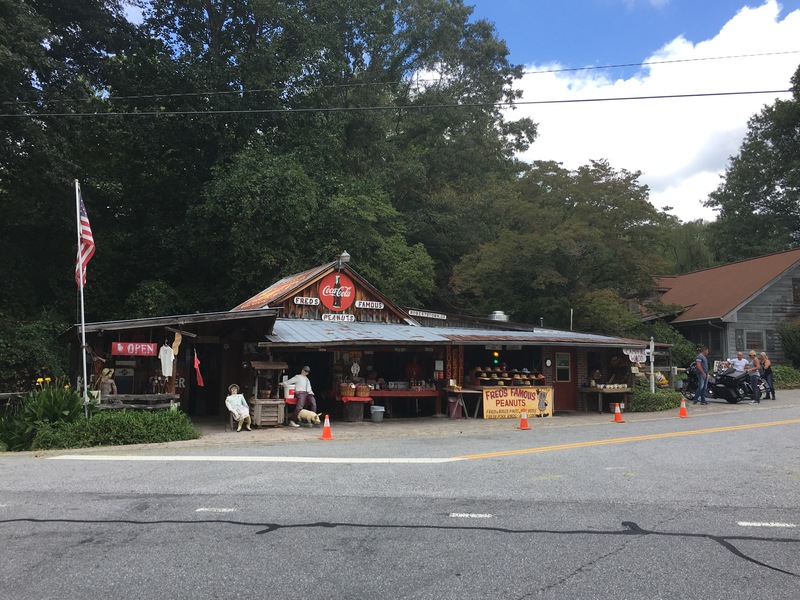 A much needed Labor Day Weekend gave us the chance to head out of town to the “Alpine” town of Helen, Georgia. The town is a cute if not cheesy tourist trap. They are famous for their Octoberfest. We were a week too early to participate in the festivities. That said, it is beautifully located in the North Georgia mountains. 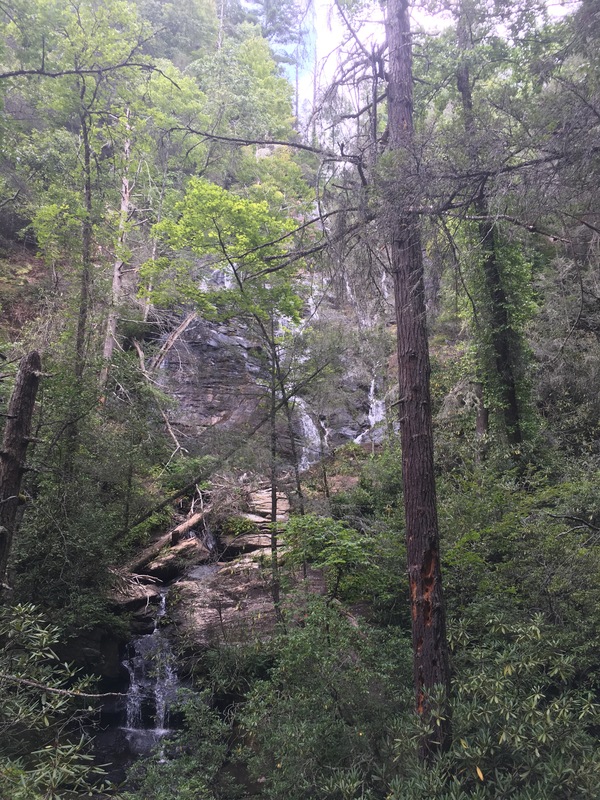 Quite a few of the best hikes in Georgia are located in this area. Enough trails to justify another trip soon. 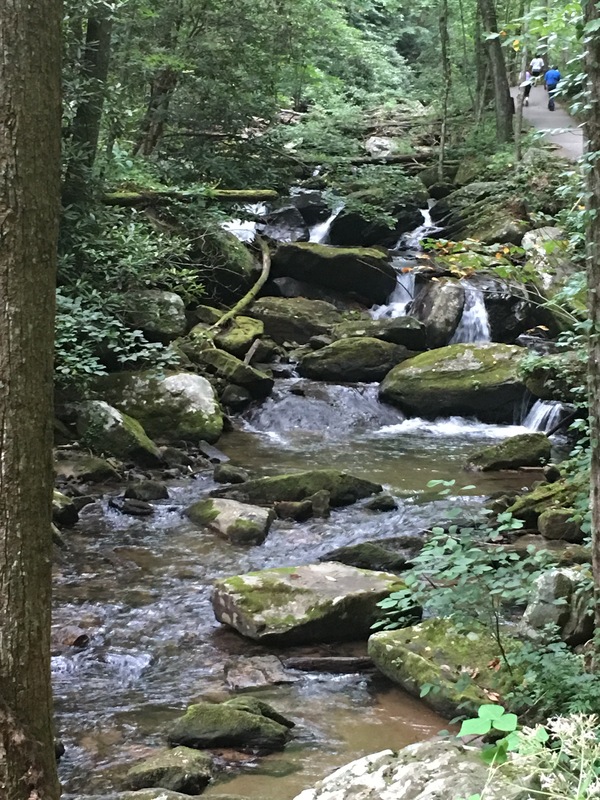 We decided to hike Anna Ruby Falls and Dukes Creek Falls. 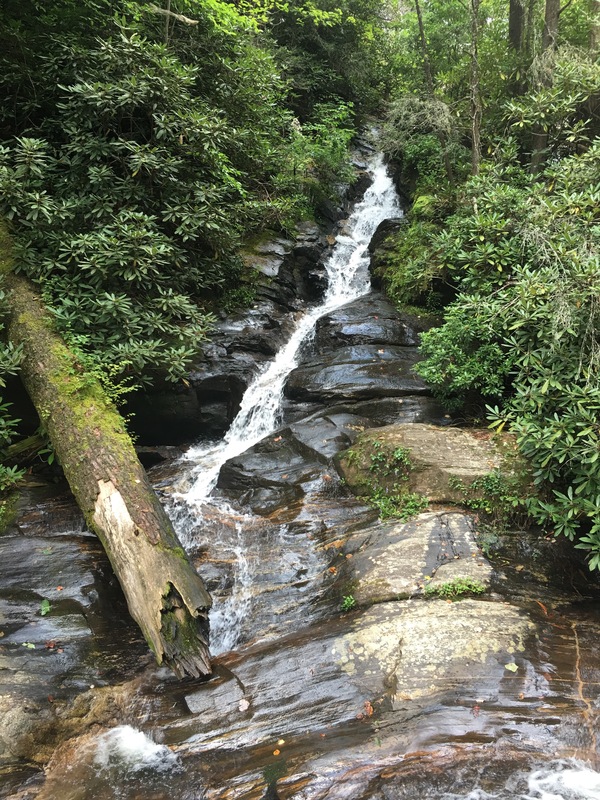 Anna Ruby Falls is only .8 miles of paved trail from the gift shop area to the falls and back. 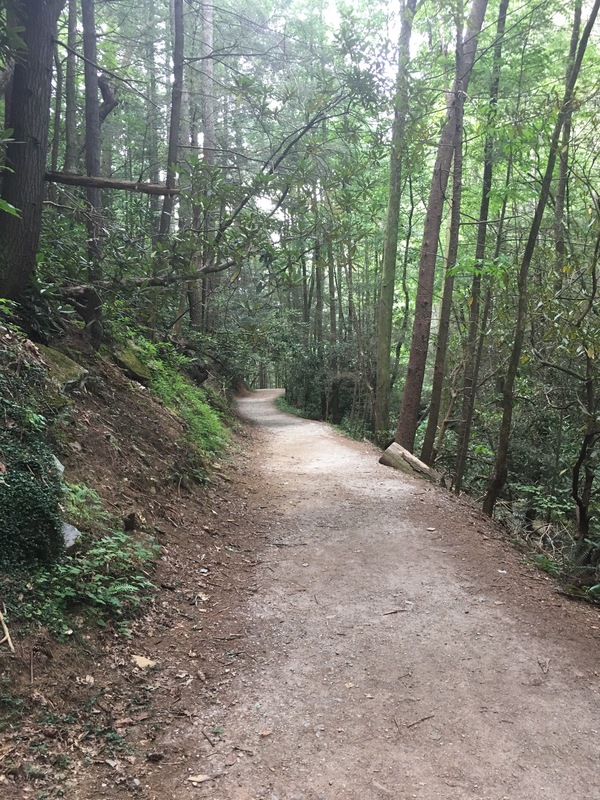 The trail is uphill to the falls and downhill back to the parking. This trail is doable by most being short and paved. The falls are a spectacular set of multilevel falls from the mountain peak to the valley below. The stream below the falls is as interesting as the falls themselves. The stream is lined with moss covered fallen trees, stone outcroppings and ferns. 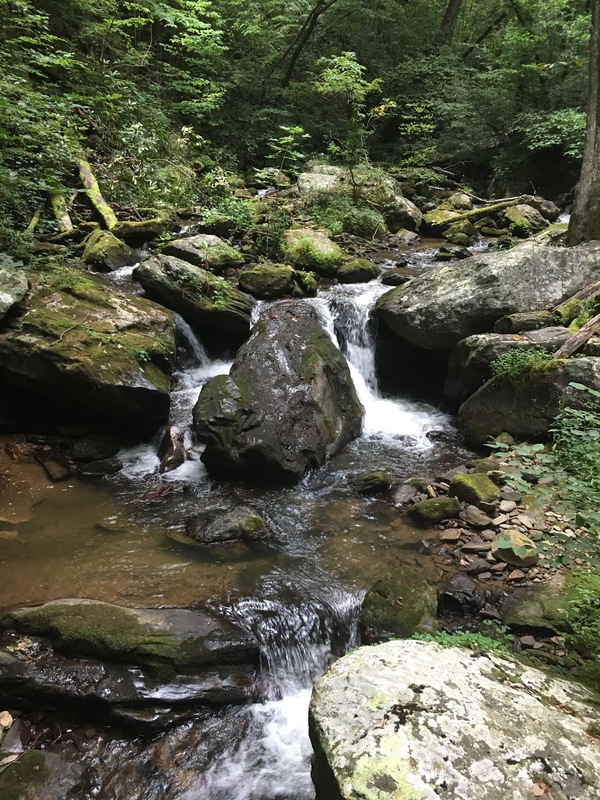 It is a great short hike for a family outing. 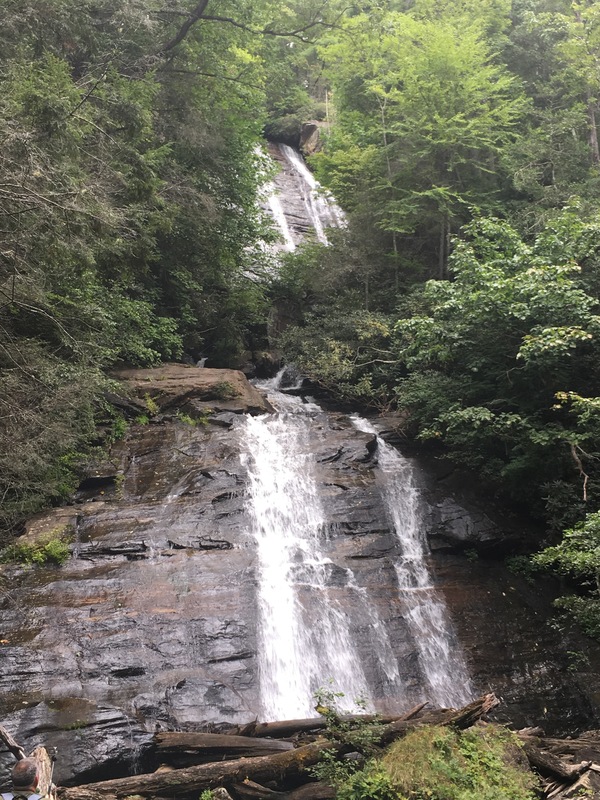 Second up, and a little more challenging, was Dukes Creek Falls. 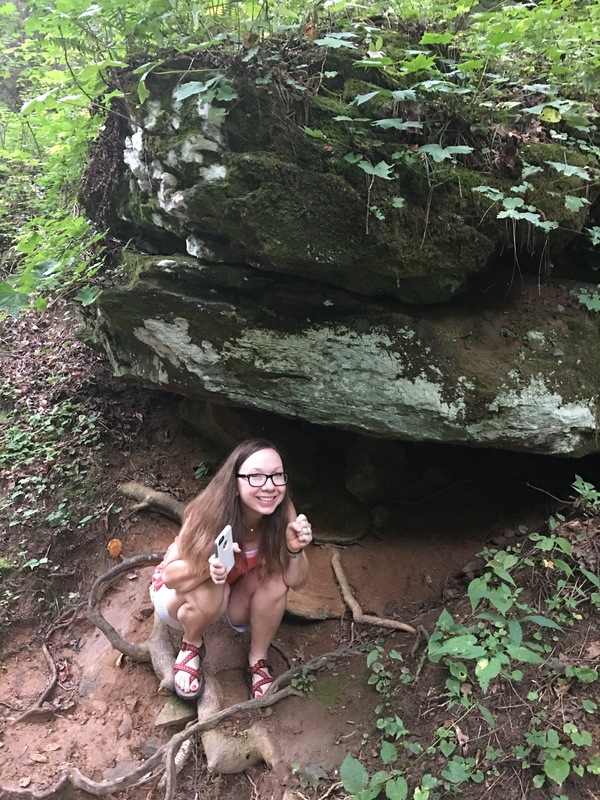 It was a 2.2 mile hike into a deep gorge. I was impressed how easy this trail was being so deep. The park service did a fantastic job keeping this trail accessible. The trail used long hair pin turns, boardwalks and stairs to make the steep decent very manageable. We all agreed that this was the nicer trail. The creek area flowed with some visible (and audible) whitewater. The trail was wide and clear as in my above picture. At the bottom, boardwalks and decks got you into perfect viewing positions. A great deal of attention went into this trail. This was another high falls while the lower section was visually better than Anna Ruby. We could have stayed all day. Take time to stop and smell the roses when in this area. There is a ton of shopping, wineries, antique stores and German food. Enjoy the boiled peanuts- a true Southern delicacy.